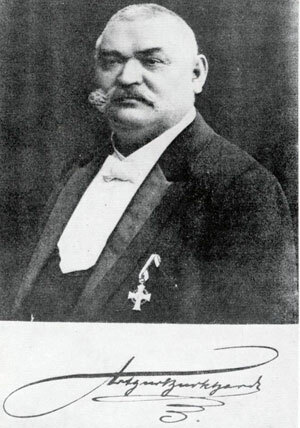 In 1876 Curt Dietzschold (1852-1922), a German mechanical engineer from Dresden was invited to come in Glashütte (a small town in Sächsische Schweiz-Osterzgebirge, which was the birthplace of the German watchmaking industry), and to became a co-owner and head of the company Strasser & Rohde (a workshop for the construction of computing machinery, precision equipment and pendulum clocks). 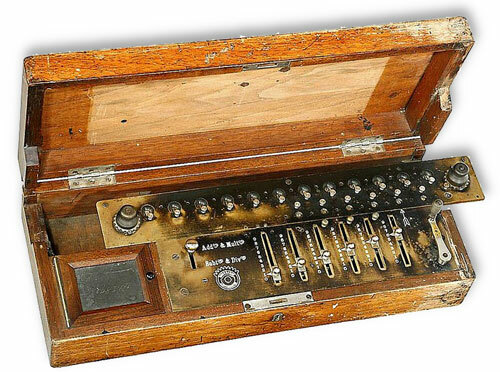 In the same year Dietzschold started to build a calculating machine. Its calculating mechanism was based on a relatively new type of mechanism—so called Schaltwerk mit Schaltklinke (rear derailleur with switching latch, or switching pawl). The switching latch mechanism is described first time by Leupold in 1727, and was later used very successfully in Hamann’s machines. In 1877 Dietzschold produced three copies of his machine and gave up one of them to the Royal Prussian Statistical Office for testing. The statistical office found that the machine did not operate to their full satisfaction. That's why Dietzschold asked for help another engineer and one of his most gifted university schoolmates from Universität Karlsruhe, Gotthilf Robert Arthur Burkhardt, (24.01.1857, Apolda–21.07.1918, Glashütte), who was then serving his time in the army. 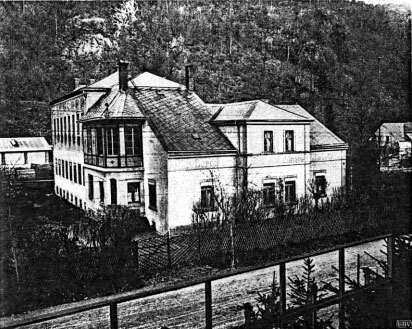 Burkhardt came to Glashütte in 1878, but next year 1879 his friend Curt Dietzschold decided to accept the proposal to became a director of Österreichischen Uhrmacherschule in Karlstein, and left the town. In the same year Burkhardt founded the first specialized factory for calculating machines in Germany—Erste Glashütter Rechenmaschinenfabrik and thus laid the foundation for the calculating machine industry in Germany. Burkhardt decided to abandon the design of Dietzschold and returned to the classical stepped-drum system of Leibniz and Colmar, changing the setting and transfer system of the machine to the stepped-drum system. The production of first model of the machine (so called Model A) was started in 1880 (see the photo below). The Burkhardt Arithmometer (sometimes known as a Glashutte machine because of where it was made) has overall measurements: 10.5 cm x 52 cm x 21 cm, and weight about 10 kg. It has a brass top plate painted black and a brass and steel mechanism that both fit snugly in a wooden case. Six (or eight) German silver levers move to set numbers. The operating crank is to the right of the levers, and an addition & multiplication / subtraction & division lever is to their left. The operating crank folds down so that the lid closes. At the far left is a compartment with a slate cover. Behind the levers is a carriage with a 8(9)-window revolution register and a 14(16)-window result register. Both registers have thumbscrews for setting numbers. Each window of the revolution register shows the digits from 0 to 9 in black, and from 1 to 8 in red. A bell sounds when the crank has been turned too often in subtraction and a negative number results. It is intended especially for use in division. A knob on the right side of the machine clears the revolution register, and another knob on the left side clears the result register. When these knobs are in use, brass bars extend out the sides of the carriage. Holes for decimal markers are between the levers and between the windows of the registers, but the machine has no decimal markers. A piece of wood hinged to the back of the case of the machine can be released so that the instrument slopes toward the operator. A panel in the bottom of the case slides across to reveal the brass stepped drums. A number of machines were produced for government authorities, insurance companies, and the like, but the demand for such machines was still so insignificant, that Burkhardt had to turn to the manufacture of other articles and, in fact, had to leave Glashütte for Braunschweig for several years (during which time he was active in an entirely different line—construction of a complex harp). He returned to Glashütte in 1885 and again devoted his time to the manufacture of calculating machines. In 1892 the number of sold machines of Burkhardt reached 500. In 1895 Burkhardt made a successful business cooperation with Hugo Bunzel, a painter and businessman from Prague. Bunzel not only sell the Burkhardt's machines, but also launched his own version of the device under the name Bunzel Rechenmaschine. In 1909 the wooden box was replaced by a cast iron casing and Model D and Model G were released (see the photo below). In 1913 were released 3 new models—K, C, E.
Burkhardt is generally regarded as the founder of the calculating machine industry in Germany, and in the course of years he managed to keep improving his product (but he never patented it). The Burkhardt Arithmometer obtained front places and medals on national, international and world fairs and was produced up to 1929, when the factory in Glashütte was closed. 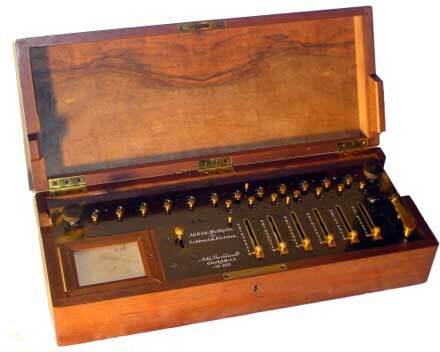 The successful calculating machines Saxonia and Archimedes were based on the construction of the Burkhardt Arithmometer.